Rockefeller NWR, Cameron Parish, LA, April 24, 2004. 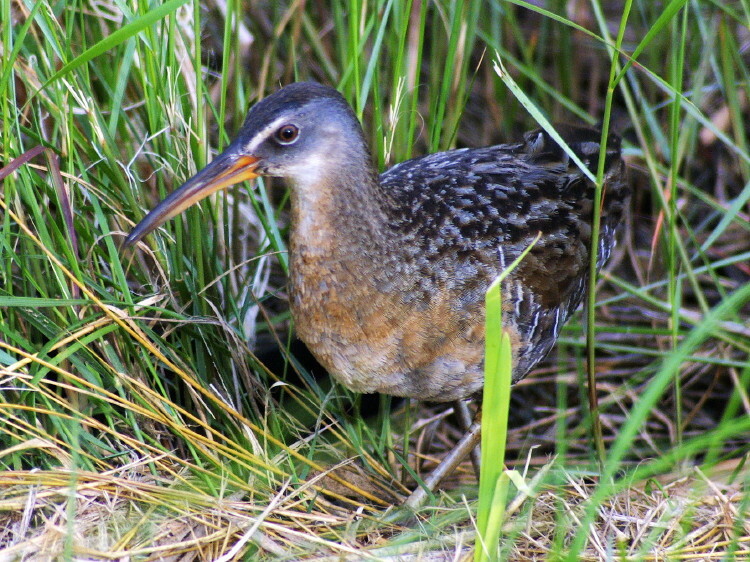 This bird and others on this page were identified as a Clapper Rail rather than a King Rail because of its location in a saltwater marsh along the Gulf Coast of Louisiana. Price Lake Road, Rockefeller WMA, Cameron Parish, LA, April 28, 2017. This bird has its feathers ruffled by the wind blowing from its rear.